This week’s Showcase is — say it with us, folks — more than meets the eye! 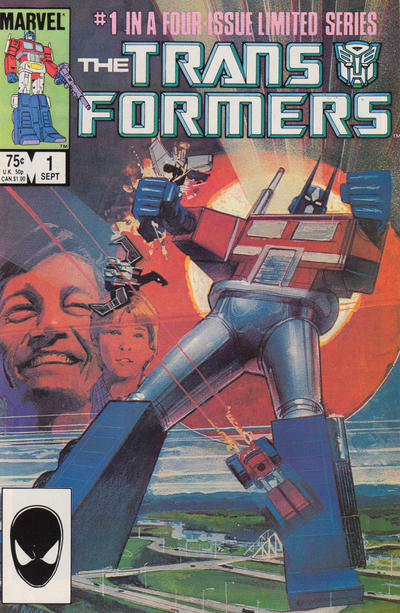 Delving into the depths of their childhood, Blake and Chase celebrate the new TransFormers movie by talking about their all-time favorite TransFormers comics, just why it was that some kids preferred G.I. Joe to the Robots in Disguise, how much they love the classic movie, and just what it is they expect from Michael Bay‘s film. Then they get offbeat with this week’s picks, Black Summer and Gutsville. This entry was posted in Showcase Podcast and tagged Black Summer, G.I. Joe, Gutsville, Michael Bay, TransFormers. Bookmark the permalink.